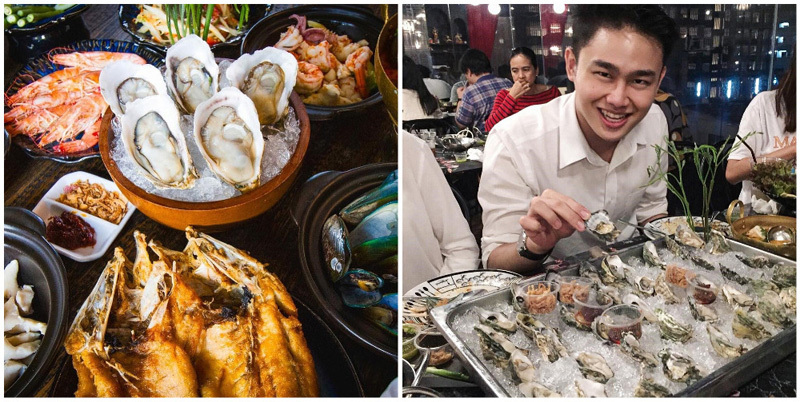 Looking for a handy list of the best pocket-friendly seafood buffets in Bangkok? 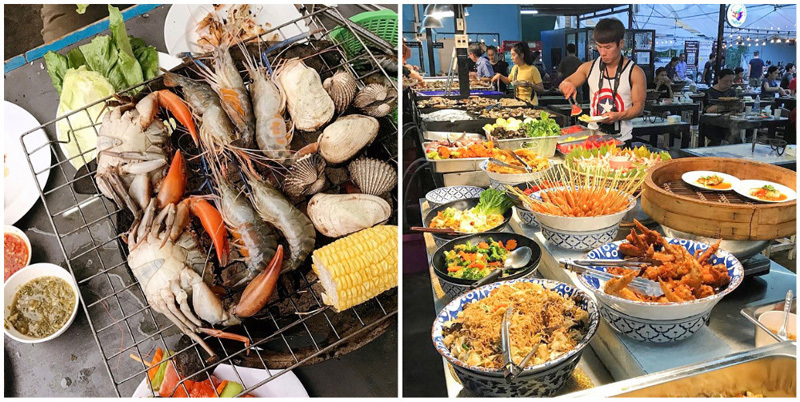 Check out these 13 seafood buffet places we’ve found in Bangkok near the BTS and under 399 Baht too! With so much to see and do in Bangkok, people often forget that the Thai capital is hardly 40km from the sea coast. And this makes Bangkok one of the ideal places to try fresh seafood, any time of the year. 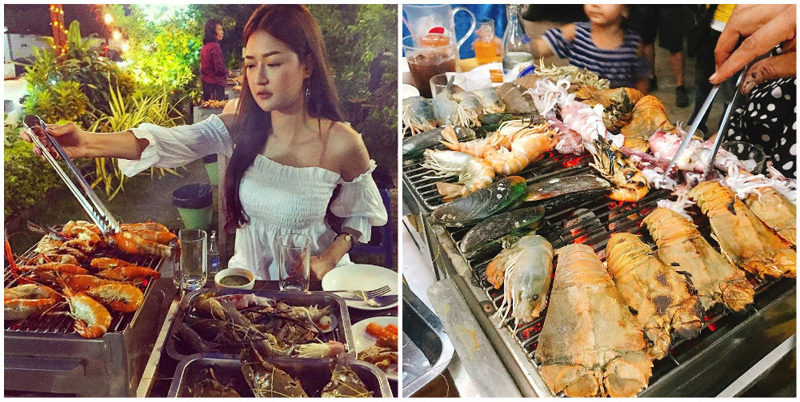 Not just in classy restaurants and hotels, seafood in Bangkok can be found in almost every corner of city. 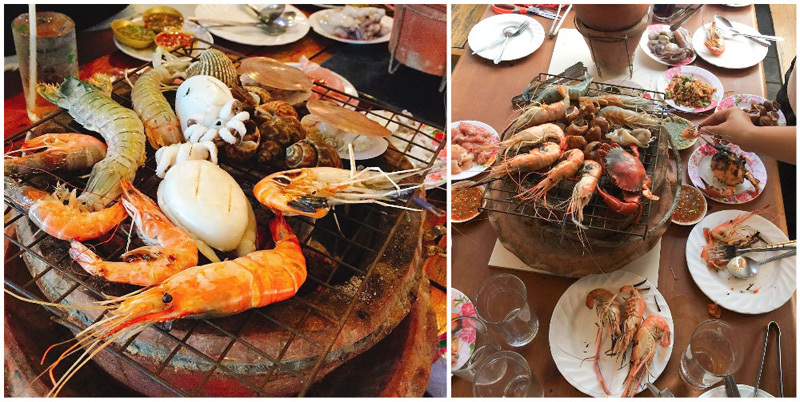 Here, we introduce you to some of the freshest seafood buffets in Bangkok. And the best part? At under 400 Baht, none of these places will burn a hole in your pocket. 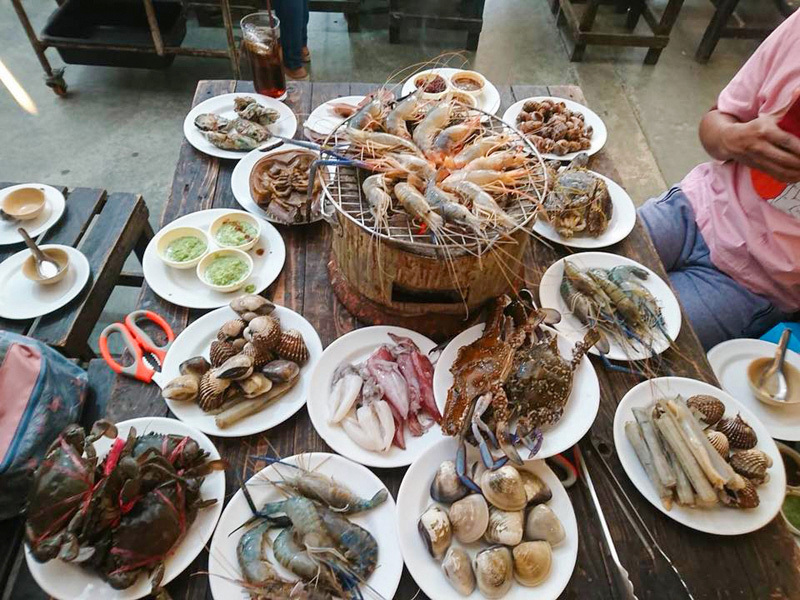 Some with limited time, and some others with unlimited time, these seafood buffets are a steal at less than 400 baht. And the spread? Large enough to make you skip the next meal! 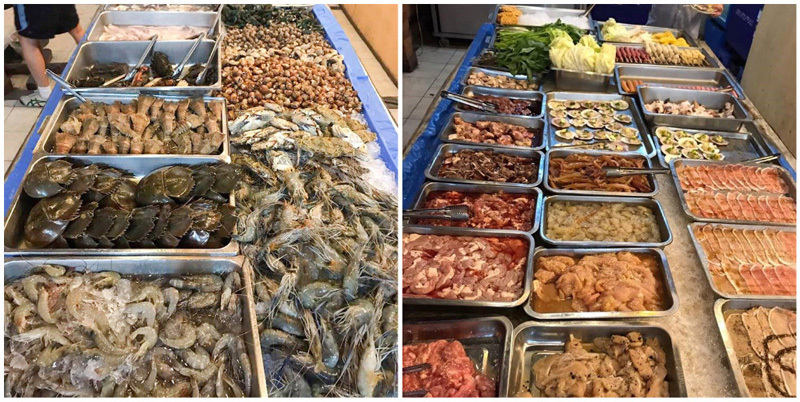 So without wasting time, let’s have a look at our top seafood buffets in Bangkok for less than 400 baht. How many have you been to? 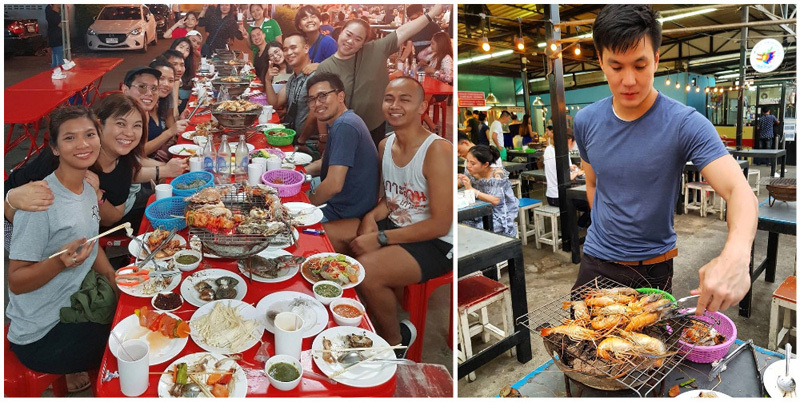 16 Must-try authentic local food in Bangkok you will never find out if you don’t have Thai friends! With a name like that, you know you are in for a treat if you are a seafood lover. 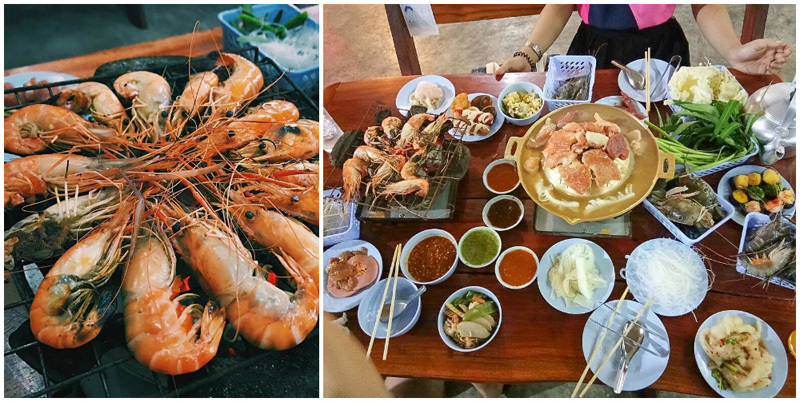 Seafood Land doesn’t disappoint with its high quality of seafood servings at an affordable price of just 399 Baht! Add 80 Baht, and you’ll get free flow of beer too. 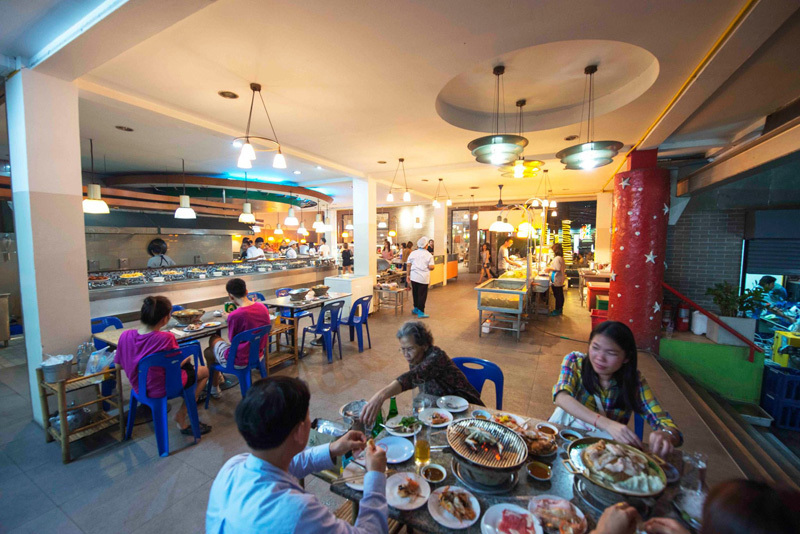 Seafood Land is a very popular buffet in the Udom Suk neighborhood. If you’re visiting on a weekend, be prepared to wait before you can gorge on the delicious seafood. 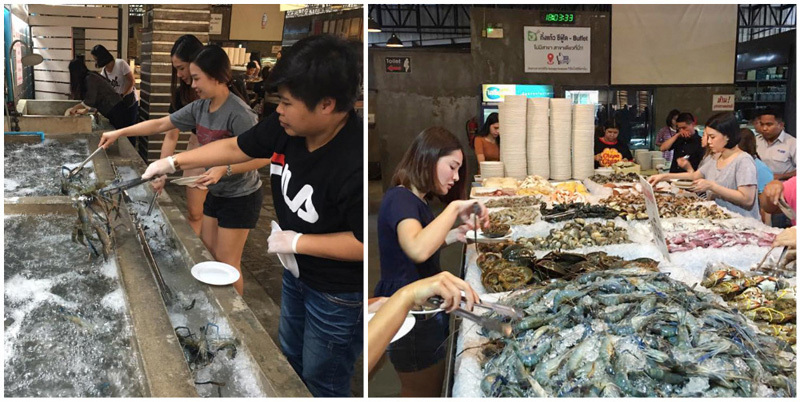 Seafood Land brings its fresh seafood straight from the port town of Manachai. A must try here is the grilled cheese shrimp dipped in the special spicy lime dip. The cosy and romantic ambiance of Sumi Grand Seafood Buffet is the perfect setting to have a meal with your special one. And it doesn’t put a giant hole in your wallet either. Sumi Grand has been built on a refurbished garden, so there’s plenty of greenery all around. They even have garden seating for those who want to enjoy the cool breeze and garden views. There are 3 buffets to choose from. 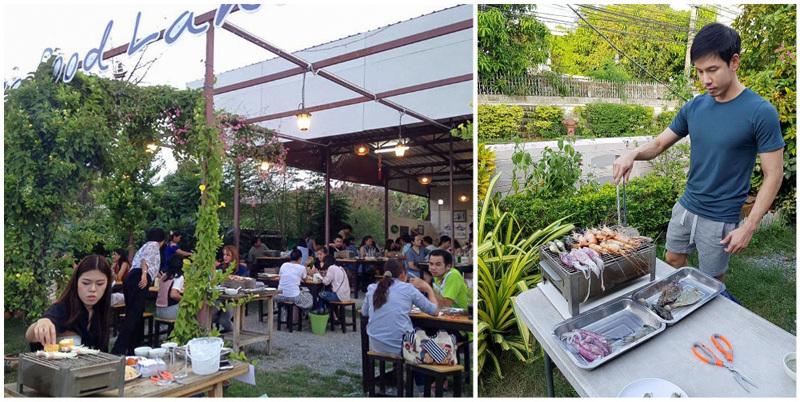 Starting at 299 Baht, this is undoubtedly the cheapest buffet with such elegant settings and ambiance. The higher priced buffets include the salmon and sushi. Yes, you read that right – sushi. 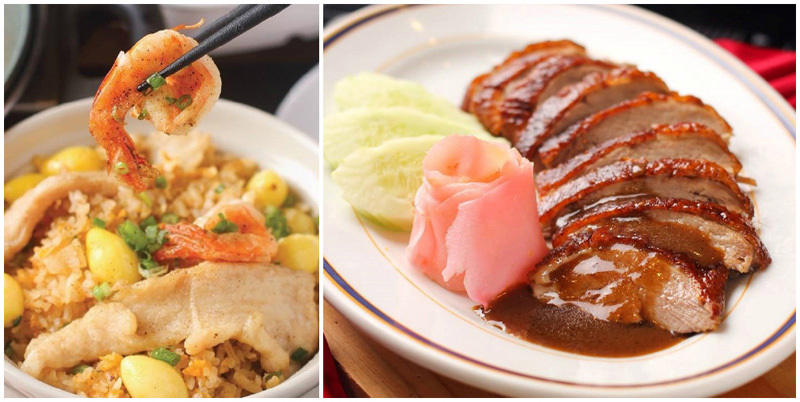 Sumi Grand offers its diners some unique Thai and Japanese fusions in its buffets! 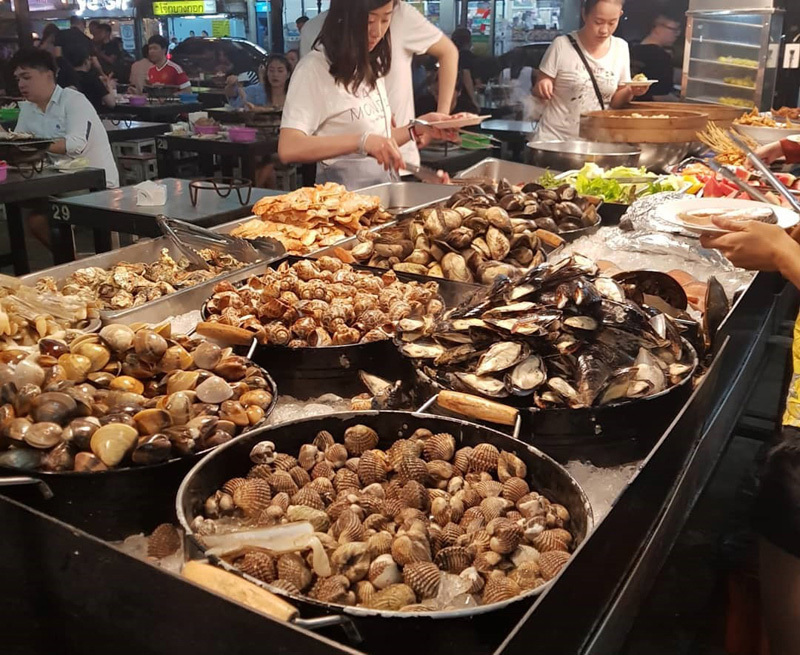 This self service seafood buffet is usually chock-a-block with the locals – proof of the popularity of any eatery. Add to that the huge spread of fresh seafood, and the courteous and the ever-attentive waiting staff. Oh! And did I mention – unlimited time! If you’re in the city center of Bangkok then you just can’t give this place a miss, especially if you crave seafood. Don’t expect anything fancy with the food or the décor. 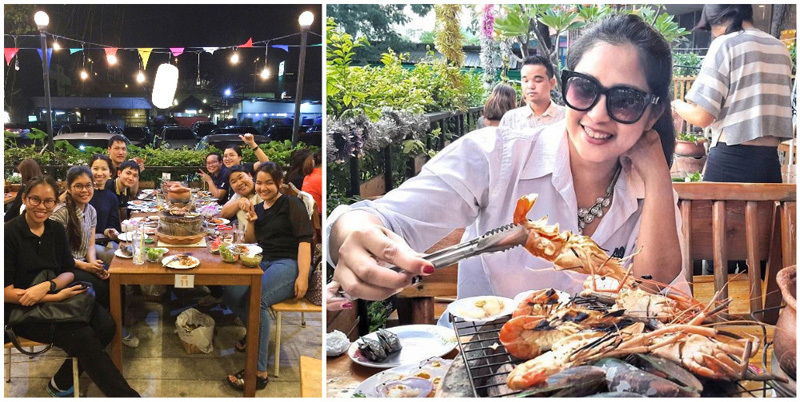 One thing that you are assured is – you will leave the place with a seafood-filled stomach and a big smile. There’s a large aquarium right in the middle, where you pick your live prawns and cook it the way you like. Scoop them up, and you’ll find huge prawns to BBQ and tuck into. No one is questioning the freshness of the seafood in this restaurant, especially when you’re catching your catch straight from the aquarium… Interested? 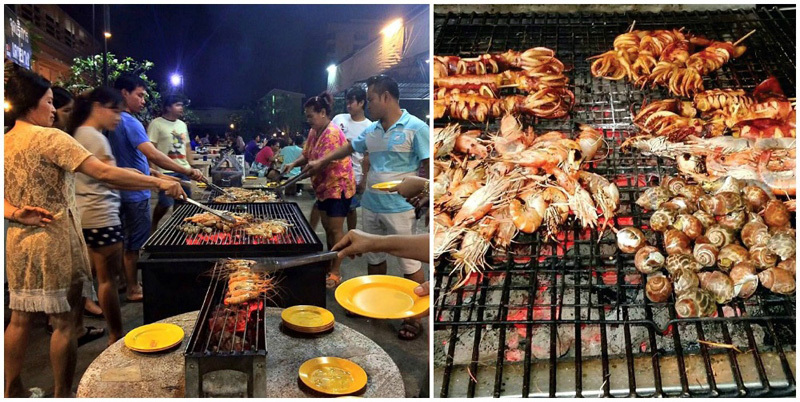 Then head to the Nud Pob Seafood Suki & BBQ in the Dok Mai neighborhood. The restaurant has over 200 tables in an open air space that you can easily spot from the street. You definitely can’t miss it! The buffet price of 229 Baht includes a drink and a dessert. 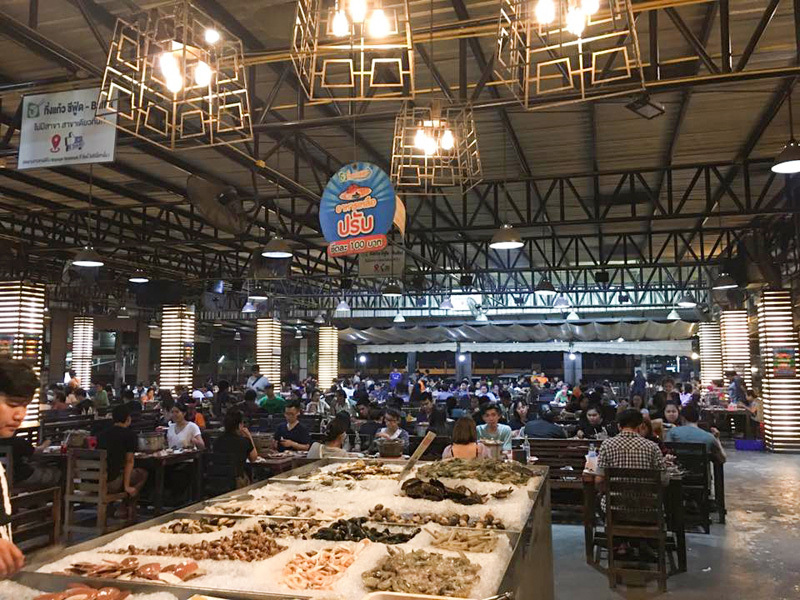 With over 200 tables and over 200 selections in a shaded open space, this place is more like a food factory than a seafood buffet. Tasting even a quarter of these dishes is nothing short of feasting. 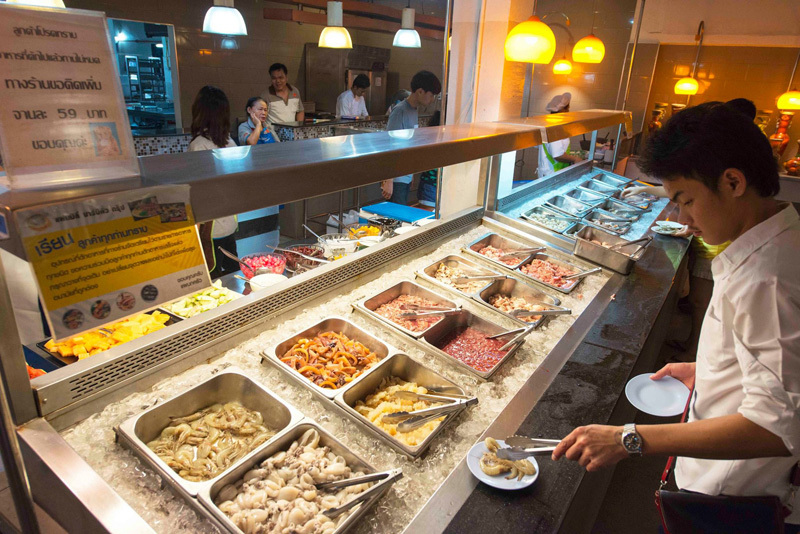 The 3 buffet lines have a wide selection of seafood and meats. 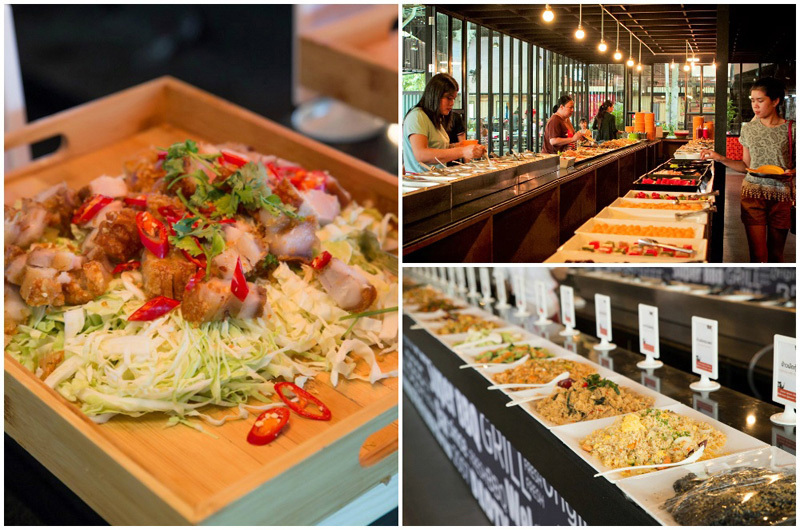 The cuisine ranges from traditional Thai to International. The seafood here is grilled in butter and crushed garlic – creating an enticing aroma that will make you toss your diet out of the window for the moment. One must-try is the Shrimp Vermicelli Noodle Pot available at the cooking station. Shrimps and vermicelli noodles are baked in soy sauce and chinese parsley, then served steaming hot in a pot – one of the favorite dishes among Thais. The restaurant is across the road from the Bar BQ Plaza. At just 229 Baht which includes juice and soft drinks, isn’t that a steal?! With that name who would believe that this place is a haven for seafood lovers. 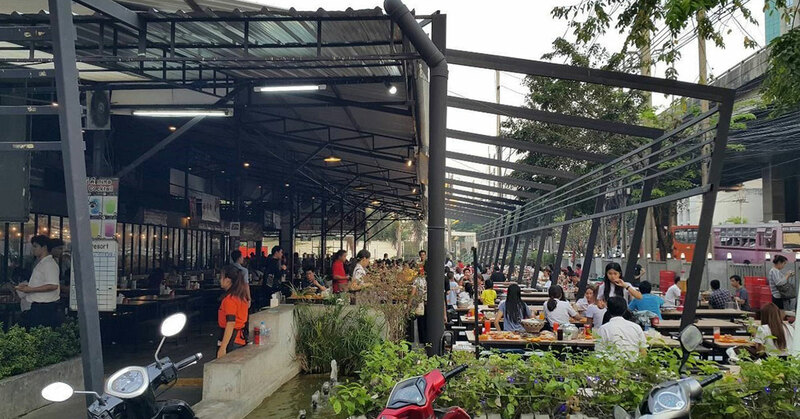 Of course, the beef is good, but the seafood – well, the huge crowd by 6pm is proof enough. The warehouse-styled place is a hit with the locals. If you are planning for dinner, be prepared to wait. There are several options to choose from. 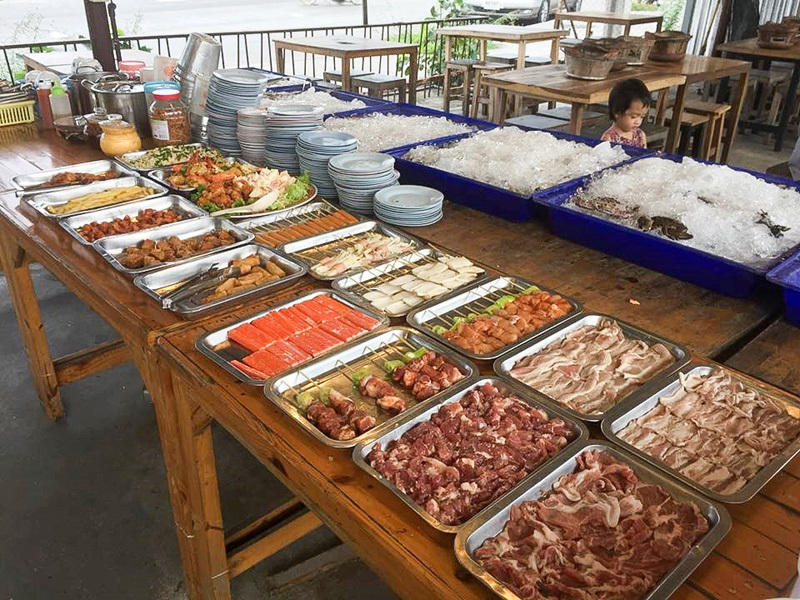 For 269 Baht, you get the food buffet for 2 hours. 329 Baht gets you soft drinks along with the food. And at 399 Baht, you can pair your food with beer. 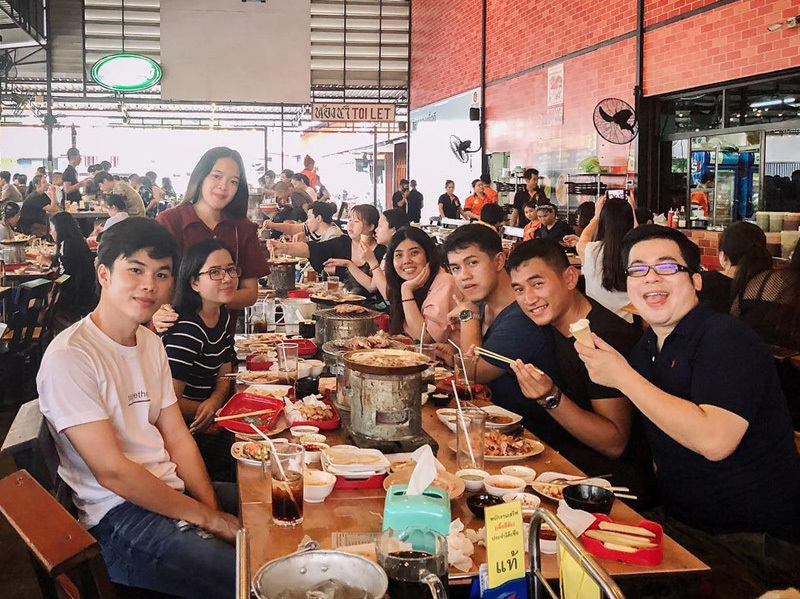 This is an ala carte buffet which mean dishes can be conveniently ordered from your table at Best Beef Sukhumvit, as it is not a self service buffet! 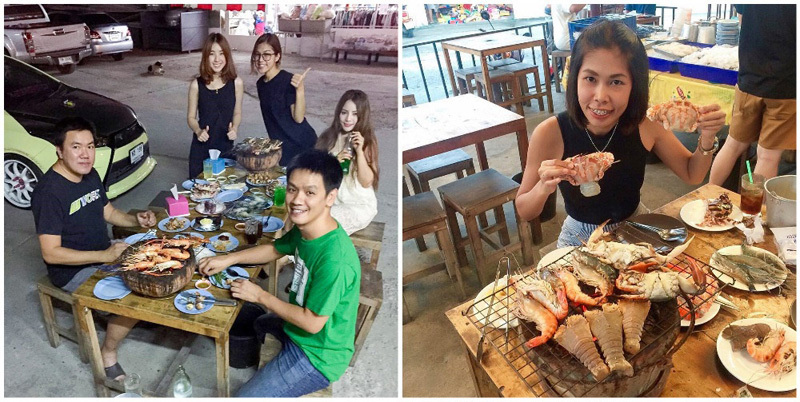 Unlimited crabs, scallops, shrimps with some fresh dip, along with soft drinks and beer. And there’s fresh eggs too. 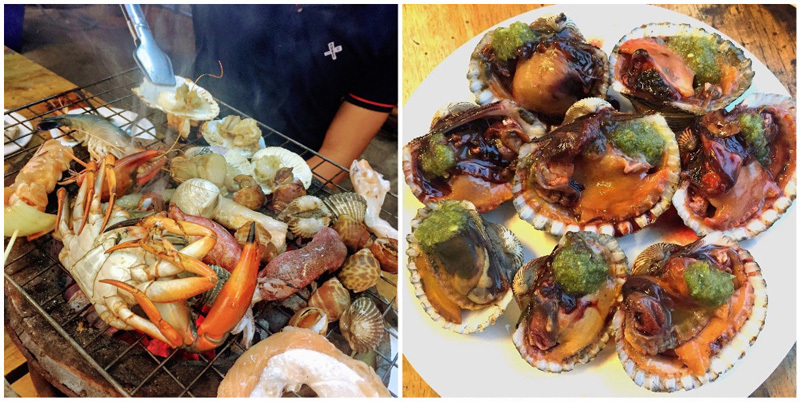 This no-frills eatery gives you your own charcoal grill where you can bbq your favorite seafood to your heart’s content. The relaxed ambiance of the place is ideal for a laid-back dinner with friends or family. 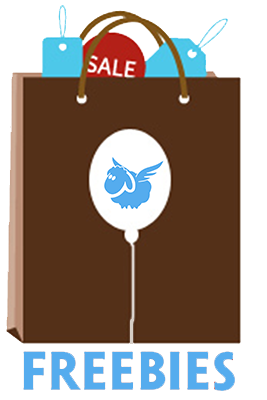 We recommend combining a trip to this place with a shopping session at Talad Rot Fai Srinakarin (the one near Seacon Square). 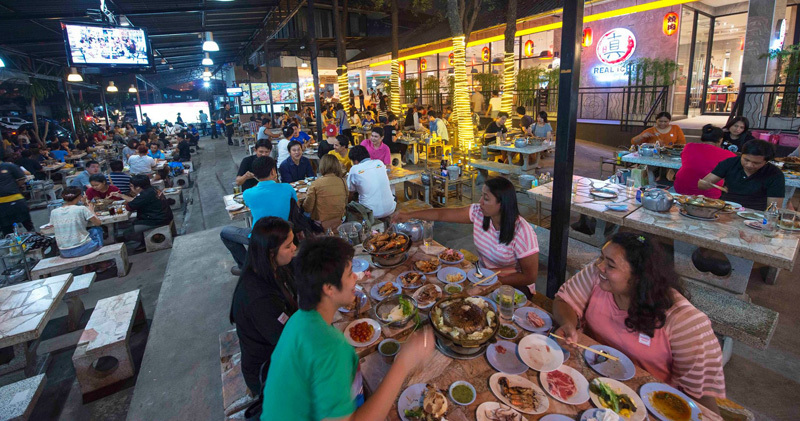 Since it’s nearby, take a short cab ride to the famous Talad Rot Fai Srinakarin after dinner! It’s one of the most popular night markets of Bangkok. 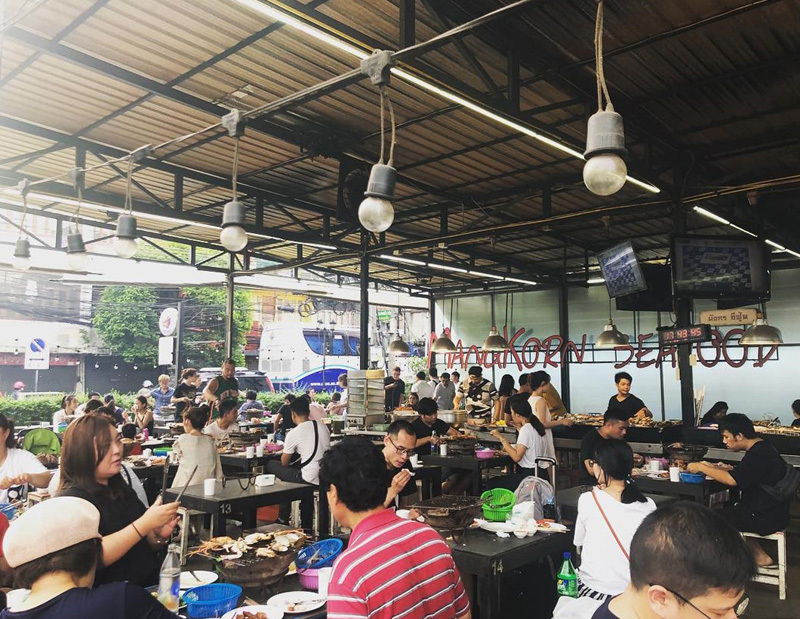 Even though this place is not on the BTS or MRT line, it features in almost every seafood buffet list of Bangkok – because of its huge spread and variety. 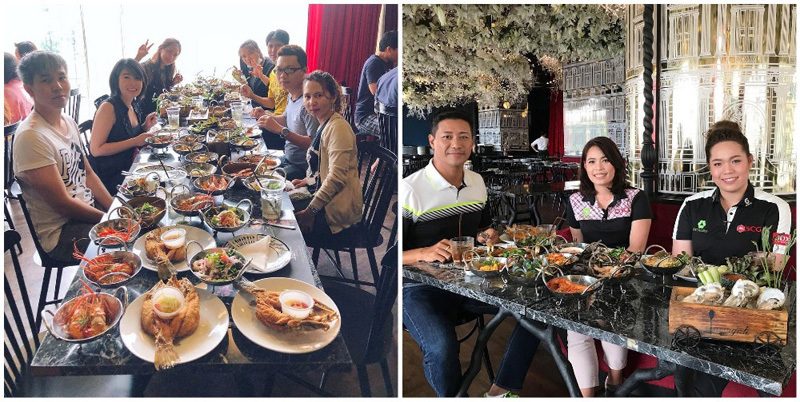 In fact, a visit to King Kraew could well be a lesson on seafood – with the spread including lobsters, shrimps, oysters, squid, shellfish, salmon, mussels, scallops, and a variety of crabs. Being miles away from the city center has not put the slightest dent in its popularity. 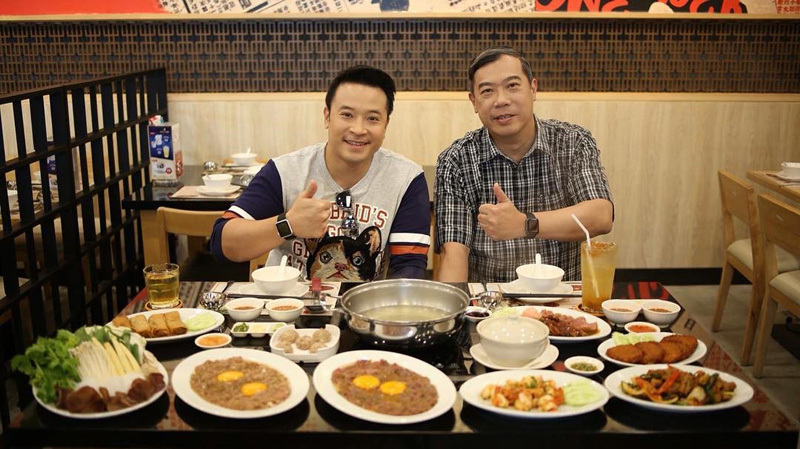 King Kaew buffet is ideal when you are entering or leaving the city as it is a very short cab ride from Suvarnabhumi Airport. 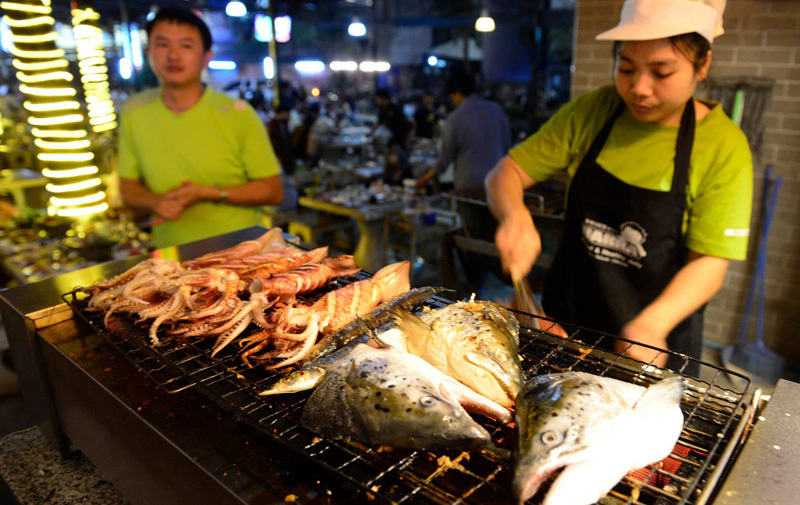 Diners at King Kaew get to choose their raw fresh seafood, and then cook it on the grill. Garnish it with the seafood or dipping sauce. 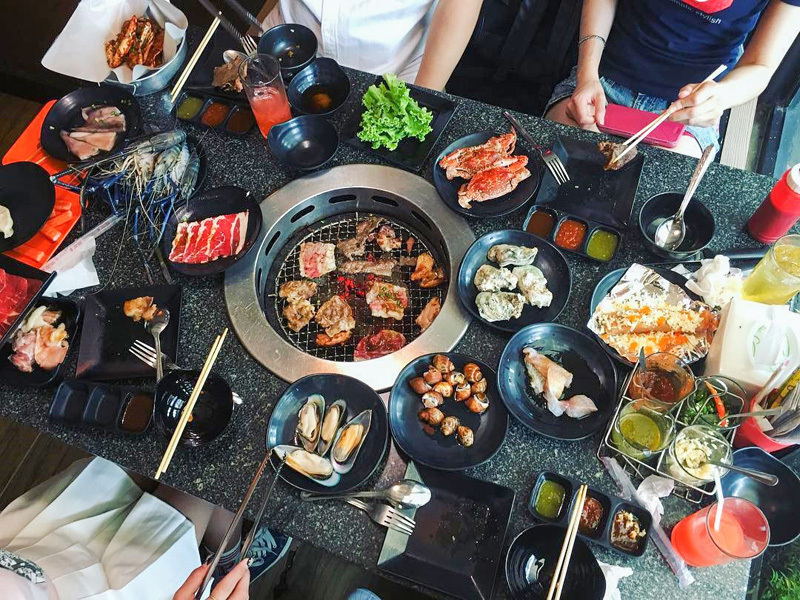 Each table is equipped with tongs, scissors, and a charcoal grill. Time is unlimited but there is no beer. Nearest BTS: While it’s not near the BTS, it is a mere 6min cab ride from Suvarnabhumi Airport! It’s past midnight and you are craving some seafood, and a buffet. No worries! 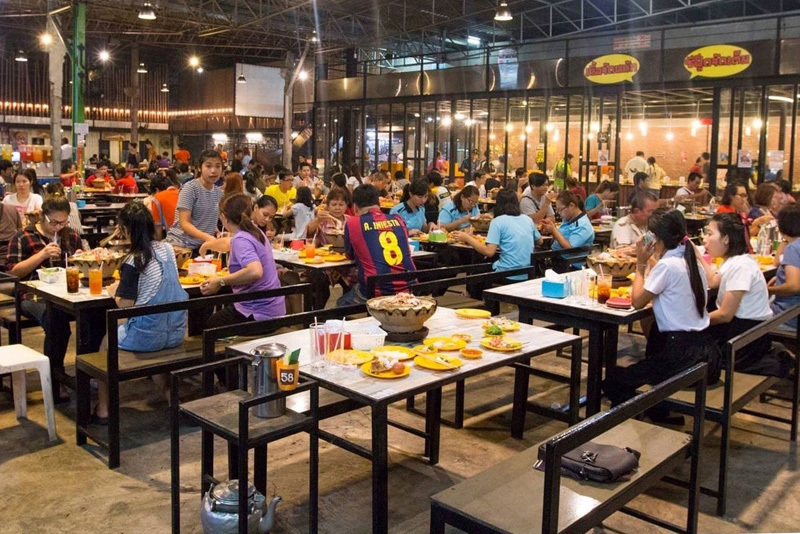 Head to Mungkorn Buffet, one of the most popular seafood buffets in the Thai capital. So after a late night movie, or a hunt at the local night market, Mungkorn can satiate your cravings. Mungkorn, which means dragon, lives up to its name with its large spread. 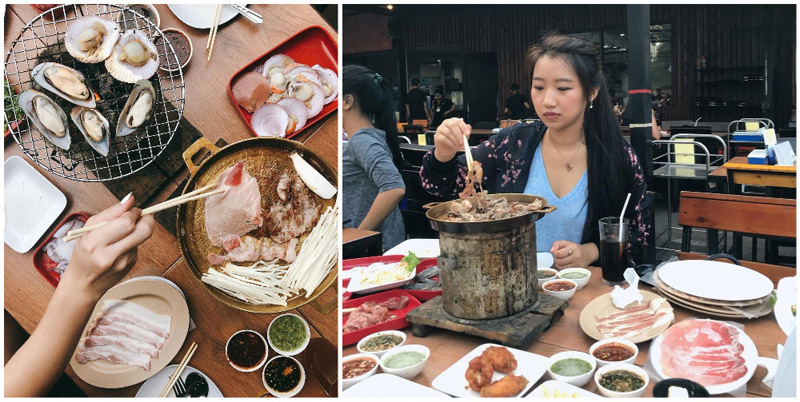 This excellent no-frills eatery is ideal for large groups who just want to eat. There’s a timer on every table for the 105-minute buffet. Do note that each extra minute attracts a penalty of 4 Baht! Lip-smacking salmon? Check. Huge flathead lobsters? Check. Tasty grilled crabs? Check. Large oysters? Check. Beer and beverage? Check. And all of this under 400 Baht? Check! The owners at Chills Lay make sure that every guest is well catered to. There is one charcoal grill for every 4 guests. And with a time limit of 90 minutes, that is enough for the grill and the fill. After your meal, take a short ride to the neighboring King Rama IX Park for a stroll – or Talad Rod Fai Srinakarin for a round of shopping! 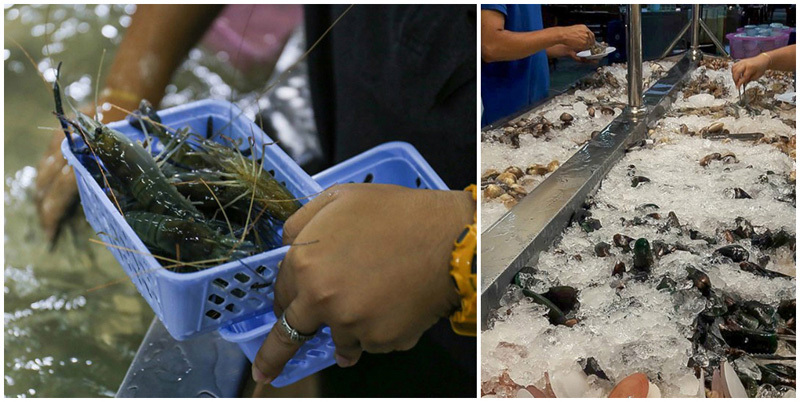 Seafood buffets in Bangkok are not just open-air street food-styled eateries. 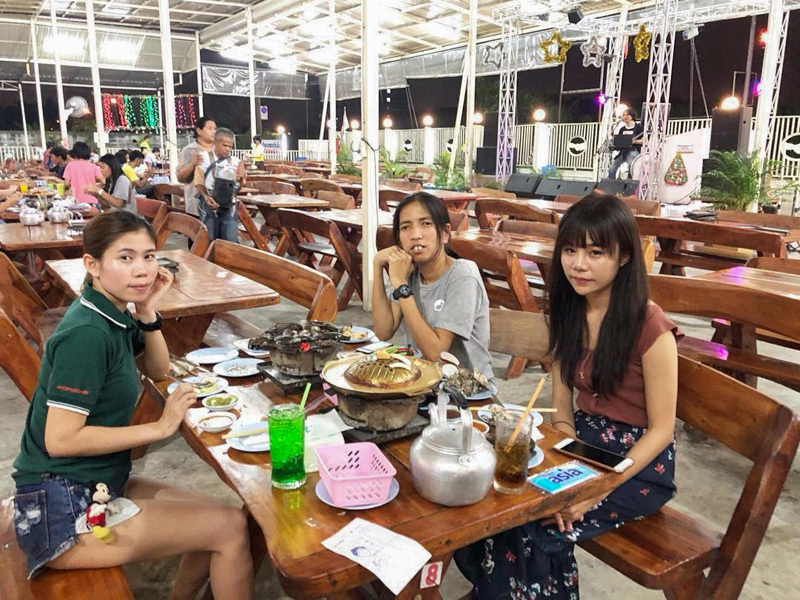 If you’re ready to shell out some extra Baht, you will find yourself enjoying a whole new experience. Laemgate, with its stunningly classy interior décor and quirkily served dishes, is one such restaurant. The interiors of Laemagate is as amazing as the seafood. The dancing ocean (or stardust gallery) ceiling display transforms the entire restaurant. It’s spectacular! 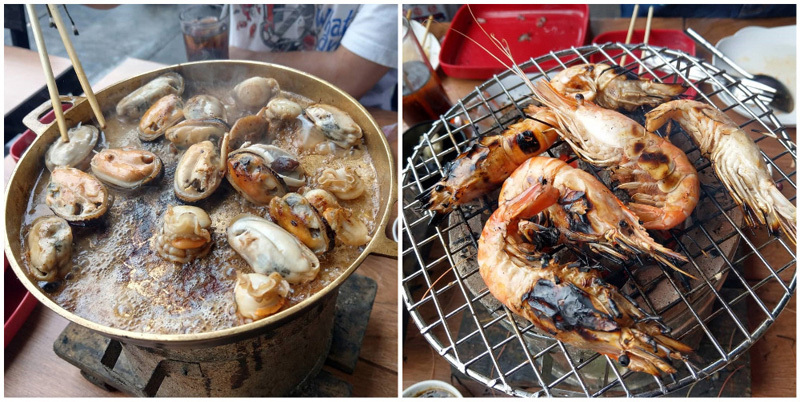 There are about 20 dishes in the menu and an unending supply of shrimps and oysters. There is no buffet line, you have to order the dishes a la carte. In fact, the restaurant claims to be the world’s first ‘a la carte buffet’. There are four 90-minute slots to choose from – 11.30am, 1.30pm, 5.30pm, and 7.30 pm. 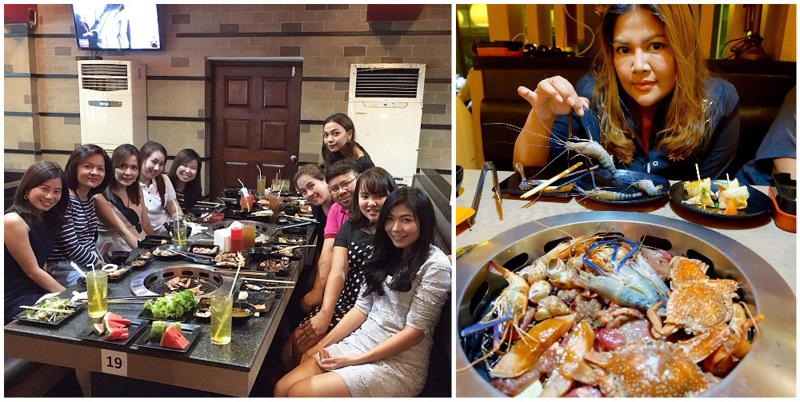 While it is first and foremost a Sukiyaki place (which means its emphasis is on meat first), it also offers seafood like salmon and prawns. This place has been a local favorite for over 50 years. Sukiyaki Number One (also called Suki) has spread a few branches over the last half century, with the MBK Mall outlet being the best accessible. 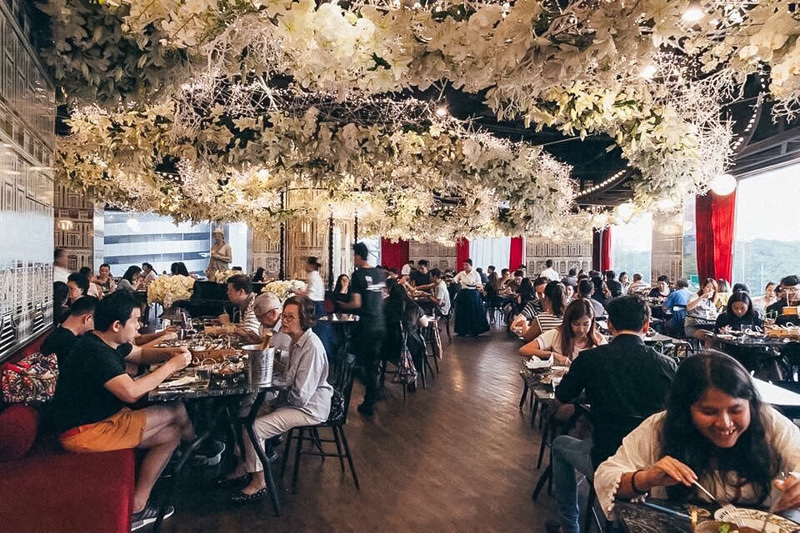 In fact, owned and managed by the MBK Restaurants Group, Suki has evolved perfectly with time – offering the diners a contemporary experience with its spacious and bright décor. 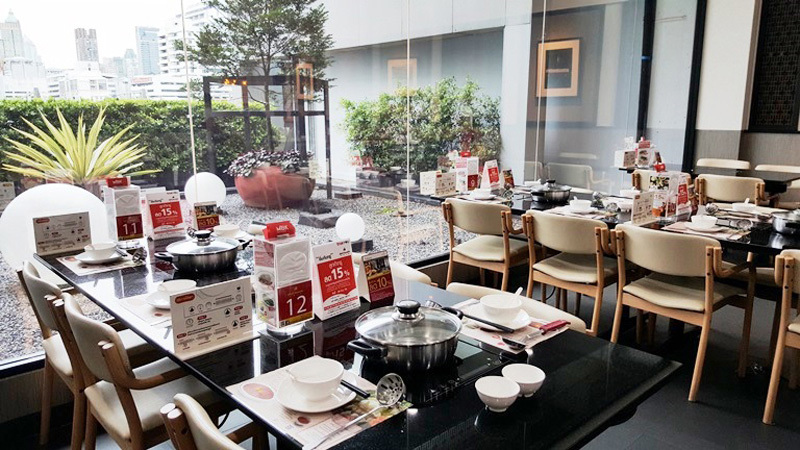 Take a break from your shopping and hop into this place to try the Sukiyaki buffet. 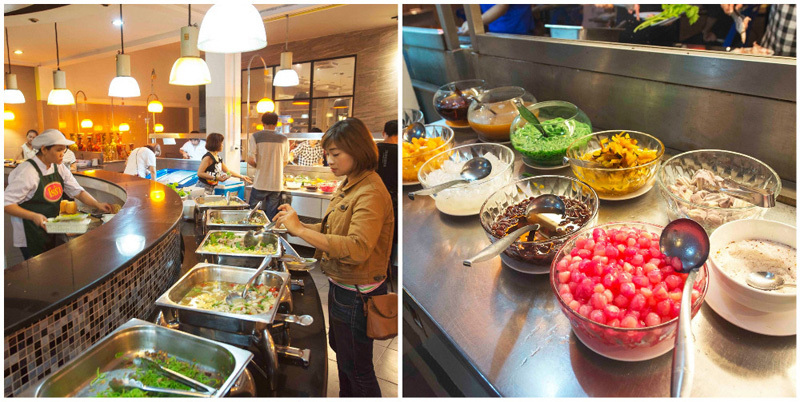 You can choose from the small buffet at 199 Baht or the large one at 399 Baht. 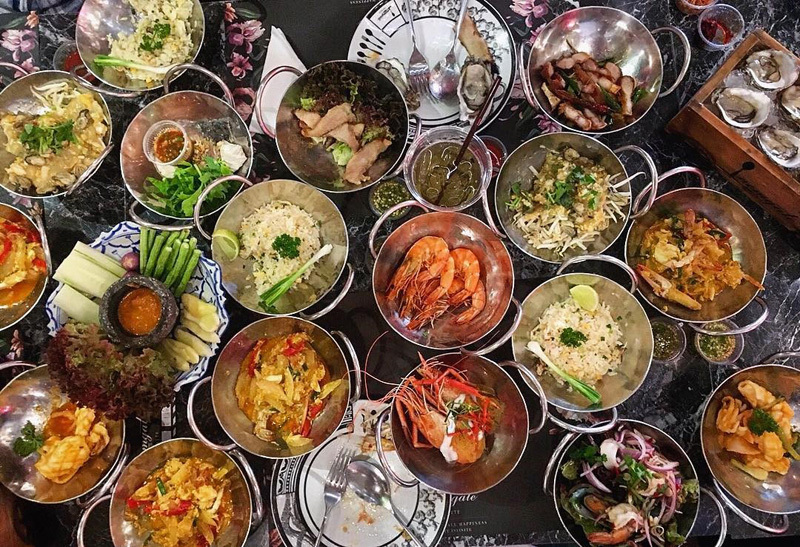 There you have it, our top picks of the pocket-friendly seafood buffets of Bangkok. Did we miss out on any that should have been on the list? Please let us know in the Comments section below! 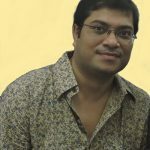 Sanjay Paul is a travel writer and filmmaker. In his ongoing interest in traveling, he has visited 18 countries in 3 continents, and lived in 2. His travels have taken him from the Eiffel Tower in Paris to the paddy fields of Bali. When he is not traveling or trying a new recipe, Sanjay loves to immerse himself in the world of movies, which he is also a part of, as an actor and director. Sanjay loves to share his myriad experiences through his blogs and travel journals.